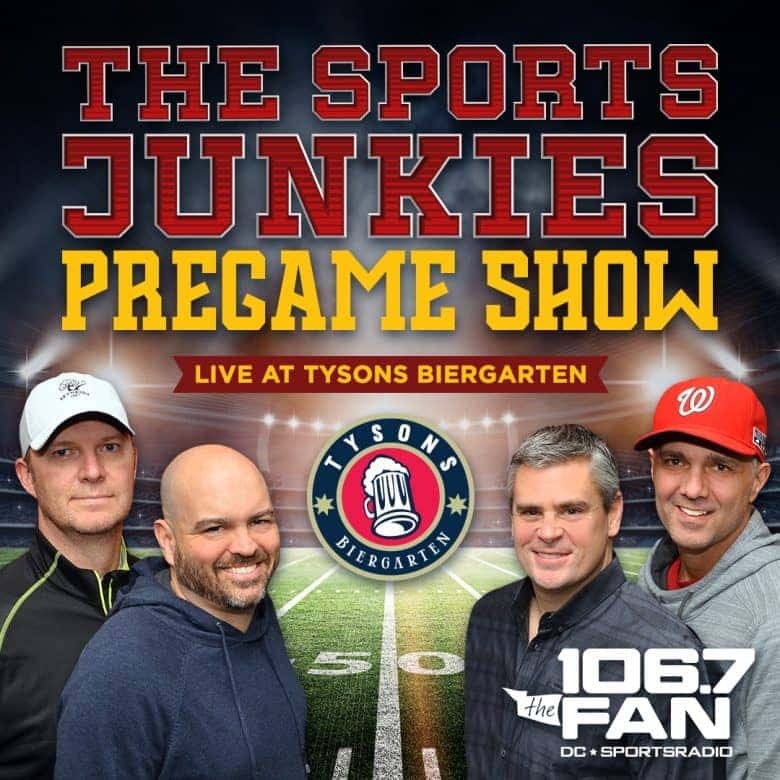 We’re thrilled to announce the Sports Junkies, hosts of the eponymous longest-running radio show in DC, are coming to Tysons Biergarten! We’ll be hosting the Junkies for 14 two-hour Washington football pre-game broadcasts this season, and you’re all invited. With a spacious outdoor area plus 10,000 square feet and three levels inside our bier hall, 17 HDTVs, and over 100 beer options, Tysons Biergarten is your home for Washington football this season. RSVP to our facebook event for updates! We have a limited amount of parking spaces, so we ask that you park in our garage which is free with validation from us and is only a 4 minute walk. ❖ Come to our cashier at Tysons’ Biergarten and get a validation ticket which will allow you to leave the parking garage for free. On Saturday, September 16 at 1 PM – 6 PM, come kickoff OKTOBERFEST with our “tapping of the keg” a special Weihenstephaner Ceremonial keg sent specifically from Germany to us for this special day! This FREE Family friendly festival is packed with TONS of activities for all ages! Hosted by Chad Dukes from 106.7 the Fan. Oktoberfest Marzen- 5.1% ABV: With a malty, yet clean build and full caramel tones, the Oktoberfest Marzen lager perfectly balances a toasty, bready sweetness with a touch of hops. Superb IPA- 6.5% ABV: A highly hopped contemporary Indian Pale Ale. Brewed with copious amounts of Cascade and Amarillo hops, this IPA is balanced nicely with a strong malt body. A great beer for any occasion. Indian Pale Ale, IPA as it is usually referred to, has become America’s second most popular microbrewery style. If you enjoy a rich, aggressive hop flavor, this is your ale of choice. Patriot 212 Helles Lager- 5% ABV: Patriot 212 is a properly made Munich Helles golden lager with a flavor profile and aroma that are guaranteed to please. The prevailing sweet malt flavor is meticulously highlighted with just enough noble hop bitterness to provide balance, resulting in a smooth, medium-bodied, bright golden lager. Virginia IPA- 6.5% ABV: VaIPA (or Virginia IPA) is brewed with 100% locally sourced Virginia pride and attitude to create a hoppy yet smooth finishing delight. The rock-solid malt bill of roasted barley and aggressive hop schedule of citrus and floral hops are in perfect harmony and deliver a clean, malty sweet and citrusy flavor. Falconer- 5.5% ABV: This hoppy American wheat beer was brewed with our friends in C-Ville metal outfit Corsair, and features ‘Falconer’s Flight’ hops, a hop union blend of Simcoe, City, and Sorachi Ace. Heady hoppy nose, balanced by easy drinking wheat flavors and milt bitterness. Shower Beer- 5.8% ABV: Perfect for any relaxing occasion, this Bohemian Pilsner sings with fresh, clean maltiness and spicy flavor and aroma contributions from 100% traditional Czech Saaz hops. Aged cold on lager yeast for weeks for maximum refreshment. Oktoberfest Bier- 5.5% ABV: DC Brau’s Oktoberfest has a classic list amber to copper hue that is topped with intense German malt aromas of toasty bread, light caramel and faint biscuit. It’s supported by a traditionally light Noble hop aroma that complements the rich malty notes. The mouthfeel is smooth and creamy with a medium body that gives it a pleasing richness. The hops perfectly complement the dominant malt character to form a very refreshing Oktoberfestbier that can be enjoyed all thru the fall months. Nosferatu- 8% ABV: Don’t be afraid of things that go hop in the night! Rich roasted malt flavors haunt the shadows of our Imperial Red Ale’s bitter teeth. Oktoberfest- 6.5% ABV: Prost! Our take on this classic German style is a celebration of maltiness — packed with rustic, autumnal flavors to put a little more oomph into your oom-pah-pah. Bell’s Double Cream Stout- 6.1% ABV: Double Cream Stout derives its name from its smooth, creamy texture, not the ingredients. Completely dairy-free, this stout blends ten different specialty malts to yield a remarkable depth of flavor. With only a touch of burnt notes, Double Cream Stout focuses on the softer, cocoa & espresso-like aspects of roasted malt. It is a beer Strong Lager style of Doppelblock. A view is a transparent, color of red beer to dark amber and very bright. The foam is creamy and consistent with a ruby reflection Very maltose with toasty aromas and caramel and some nuance of ripe fruit. Attenuated some noble hop flavor, On the palate we find a full body, medium carbonation. Bright gold colour with a crystalline aspect. It has a characteristically elegant and fain malt aroma. Its base notes have reminiscence of fruity flavors and very light balsamic hints. It is tasty, has the perfect acid-alcohol balance and well-integrated bitter finish. As the colors come out each fall it is not just the turning of the leaves we celebrate but the limited release of our annual Oktoberfest. With a malty, yet clean build a full caramel tones, our Oktoberfest Marzen lager perfectly balances a toasty, bready sweetness with a touch of hops. An aroma of sweet spice and pumpkin pie precede the body of caramel nuttiness with hints of molasses, roasted brown sugar, and vanilla. A dissipating touch of smokiness from the Cherrywood Smokes Malt adds a fresh baked flavor to this frighteningly delicious Pumpkin-Peach Brown Ale. Our West Coast Style IPA is very hop forward and deliciously unbalanced. Light malt sweetness gives citrus and pine notes, culminating in a delightfully dry finish. Hops Lovers: you have found Hoppy Place. Oxtober Bier is a Marzen-style lager in the true German tradition. Vienna malts and nice toastiness drive the flavor. Very clean, smooth, and malt forward with rounded malt sweetness accompanied by nice biscuit and toast accents. A pleasant hop bitterness adds balance. An Amber beer style that was developed to celebrate the original Oktoberfest over 200 years ago. This full bodied beer with its rich malt flavor, dark toffee note and underlying fruitiness has a masterful hop balance. Brugse Zot is a goldenblond beer with a rich froth and a fruity flavoring. The beer is brewed with four different kinds of malt and two aromatic varieties of hop which give the beer its unique taste. Thanks to the fermentation in the bottle, the beer has a longer natural life. Don’t miss this HUGE FREE festival! Are you ready, Tysons?? It’s time for our annual month and a half of Oktoberfest! We have something going on every Saturday from September 16th through October 28th. 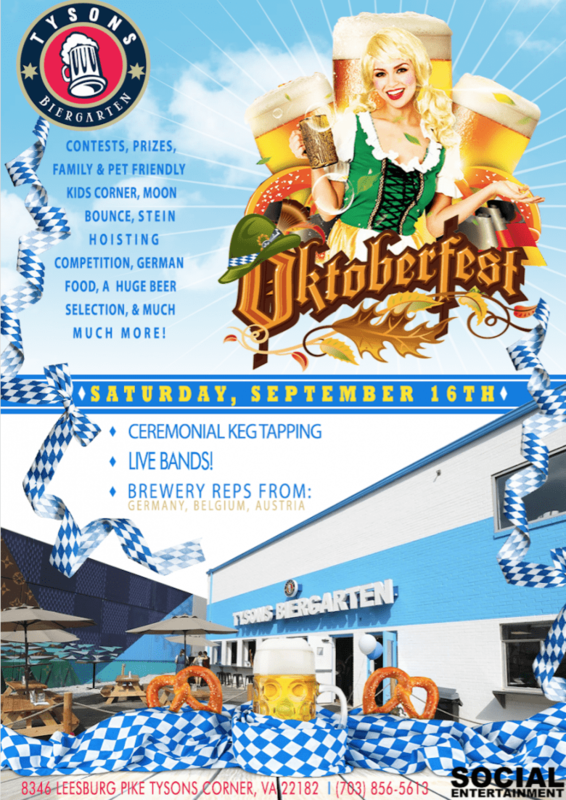 Oktoberfest Kickoff Festival, 9/16, 1-6pm: Come kick off OKTOBERFEST with our “tapping of the keg” a special Weihenstephaner ceremonial keg sent specifically from Germany to us for this special day! Oktoberfest: American Tribute to German Style Bier Festival: 9/23, 1-6pm: Join us as we showcase German Style beers from your favorite American Craft Breweries. We’ve contacted 25+ American craft breweries and have asked them to send us their “Best of the best” German-style-American-influenced beer for our American Tribute to German Style Beer Festival. Oktoberfest: Euro Beer Fest: 9/30, 1-6pm: Join us on Saturday, September 30th as we showcase 25 top shelf beers from Germany, Belgium and Austria! Come meet representatives from each brewery, learn about the breweries, beers and take home some awesome gifts. Like always, our festivals will be filled with games, live music, contests and loads of prizes. Oktoberfest: IPA & Cider Festival: 10/7, 1-6pm: Join us Saturday, October 7th for our IPA & Cider festival! 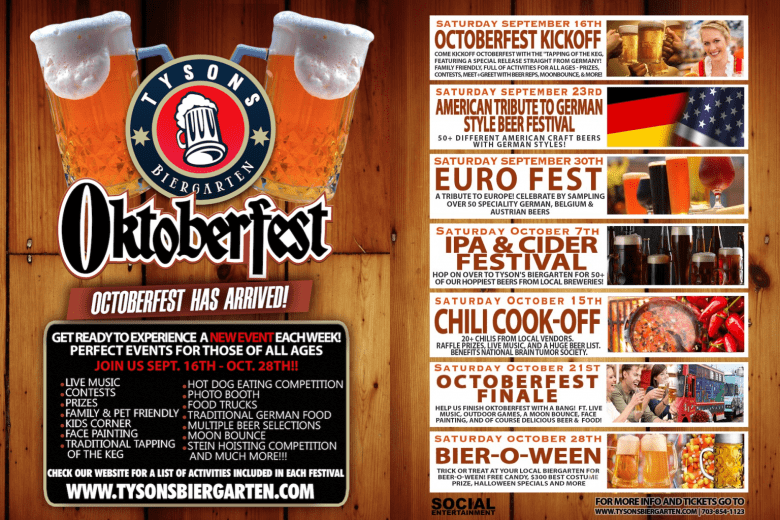 Hop on over to the Tysons Biergarten for 50+ of local breweries’ hoppiest beers and most delicious ciders! Chili Cook-off: 10/14, 12-4pm: Cushman & Wakefield’s Project & Development Services (PDS) team is hosting a Chili Cook-Off benefiting National Brain Tumor Society and ABC2 (Accelerate Brain Cancer Cure). At this annual event, over 20 local construction vendors will come together and compete in a chili contest. We invite you to join us at this family-friendly event and vote in the ‘People’s Choice’ category. This event is open to the public with a suggested donation of $10 for chili tastings. All proceeds will be donated to the local brain tumor research organization, Race for Hope DC. Oktoberfest Finale: 10/21, 1-6pm: Help us finish Oktoberfest with a bang! Featuring live music, outdoor games, face painting, and of course delicious Bier and food, everything you need for a great time! Bier-O-Ween: 10/28, 8pm-2am It’s not technically Oktoberfest anymore, but come Trick or treat at your favorite local Biergarten! There will be free candy, $300 prize for best costume, Halloween specials, and much more! This event is FREE ADMISSION. Check out Facebook for even more info! On Saturday October 7 from 1-6 PM, join us for our IPA & Cider festival! Hop on over to the Tysons Biergarten for 50+ of local breweries’ hoppiest beers and most delicious ciders! BEER LIST! BEER LIST! BEER LIST! Brew Free! Or Die IPA (Blood Orange); ABV 7%: BREW FREE! OR DIE IPA is brewed with some serious west coast attitude. This aromatic golden IPA starts with three different hops to the nose, quickly balanced by a solid malt backbone supporting the firm bitterness. Our top selling beer at the pub, this IPA starts big and finishes clean leaving you wanting more. Pineapple; ABV 5%: Inspired by the House Family’s annual visit to the beautiful Hawaiian Islands our Pineapple cider is an ideal drink for tropical hot and humid climates. Our signature drink the Hawaii 5-0 is a mix of Ace Pineapple cider, coconut rum, ice and a garnish of fresh pineapple. This original cider is perfect for a backyard BBQ, or Bacon dishes. Pumpkin; ABV 5%: First produced in the fall of 2010 our Ace Pumpkin Cider is a seasonal favorite. Its unique orange color and full rich flavor will leave you craving more. This seasonal Cider is released after Labor Day and available throughout fall. Ace Pumpkin is perfect for the pumpkin lover that just can’t get enough. Ideal for Halloween and Thanksgiving this cider pairs well with or beef. Our pumpkin cider also makes a great snakebite when mixed with a heavy lager. Blood Orange Gose; ABV 4.2%: Our Blood Orange Gose is a tart, refreshing wheat ale that is kettle-soured with lactobacillus and brewed with sea salt and coriander. However, unlike traditional versions of the style, ours features liberal additions of blood oranges during fermentation. This imparts tangy citrus notes that complement the champagne-like flavors, creating a complex and sessionable ale perfect for any occasion. G&T Gose; ABV 4.2%: Reminiscent of a classic cocktail, our G&T Gose showcases botanical flavors and aromas of lemon peel, juniper, lemongrass, and grains of paradise. With a juicy lemon-lime tartness and slightly peppery finish, we’ve given the gose style a unique spin that we’re sure you’ll enjoy. Ginger Perry; ABV 4.5%: Ginger Perry delivers a dry pear palate with a tart bite, finishing bright and a bit spicy at the end. Unpasteurized and unfiltered, Ginger Perry is free of back sweetening and added sugars. Best enjoyed ice cold. Can and draft offerings available. El Gose; ABV 4.5%: A timeless, traditional tart gose (goes-uh) with its zesty and salty disposition is brightened by a tangy citrus twist. A bier for every día! The Real Peel IPA; ABV 6.3%: Inspired by a summer’s day and crafted to crush year-round, our IPA twists real tangerine peel and citrusy hops into this juicy experience. It’s the real deal! Hop Sneeze Gen 2 IPA; ABV 7%: Intense citrus and tropical fruit aromatics blend well with the light malty sweetness. Cheers to Hunter! Unrequited IPA; ABV 8.3%: Double Red IPA. New for 2017. One of the public’s very first chances to sample this IPA! Weekend Lager; ABV 4.8%: This particular beer is known as Weekend Lager because it’s what we enjoy when we want to kick back. We took ten years to brew our first Lager and hope it was worth the wait. Made in the Munich Helles style and unfiltered like all our beer, it’s a little spicy but wholly smooth. Two Hearted IPA; ABV 7%: Brewed with 100% Centennial hops from the Pacific Northwest and named after the Two Hearted River in Michigan’s Upper Peninsula,this IPA is bursting with hop aromas ranging from pine to grapefruit from massive hop additions in both the kettle and the fermenter. Perfectly balanced with a malt backbone and combined with the signature fruity aromas of Bell’s house yeast, this beer is remarkably drinkable and well suited for adventures everywhere. Basil Lemongrass Cider; ABV 6.9%: Balancing fresh herbs and subtle honey, nothing says delicious better than this signature infused mead. Grab a can and enjoy the finer things. On the Wings of Armageddon; ABV 9.2%: OTWOA is a single hop beer utilizing Falconers Flight. Brewed with just enough Pale malt, Cara-60, CaraPils and Malted wheat to carry the intense hop character onto the pallet. At first glance, it has an orange hue in the glass with a viscous, rocky head that refuses to dissipate. Upon first sniff there are dominant aromas of citrus, white grapes and grapefruit with light bread and biscuit notes. After the first sip we taste a mellow bitterness that only grows as more is consumed. Moderately carbonated, deceptively smooth, refreshingly dry and extremely heady for a beer at 9.2% ABV. OTWOA exhibits all the necessary traits to be revered as a world class Imperial IPA. Oktoberfest; ABV 5.5%: DC Brau’s Oktoberfest has a classic light amber to copper hue that is topped with intense German malt aromas of toasty bread, light caramel and faint biscuit. It’s supported by a traditionally light Noble hop aroma that complements the rich malty notes. The mouthfeel is smooth and creamy with a medium body that gives it a pleasing richness. The hops perfectly compliment the dominant malt character to form a very refreshing Oktoberfestbier that can be enjoyed all thru the fall months. Tart and Juicy Sour IPA; ABV 4.7%: We’ve combined the clean, puckering tartness of kettle souring with an abundance of juicy, citrus-driven hops to create a beer that’s the best of both worlds – Tart n’ Juicy Sour® IPA. Slip Angle New England IPA; ABV 7%: This hazy American IPA is generously hopped to produce a juicy hop aroma. Hops include Warrior, Simcoe, Citra, Mosaic and Hull Melon. Plimsol IPA; ABV 6.7%: Plimsoll is our flagship IPA. Foreign and domestic malts build the backbone of this copper-colored elixir while copious additions of three hop varieties leave it with clean, crisp, citrusy aroma.ﾠ Tried-and-true, it’s the perfect beer to end the day. Hops Limon; ABV 6.8%: Made for hot days and good food. The lemon/lime is subtle, but certainly present. Titan IPA; ABV 7.1%: TITAN IPA is a big, aggressively hopped India Pale Ale brewed for hop disciples. It starts out with piney hop aromas and citrus hop flavors, and finishes with a nice rich, malty sweetness that is balanced with crisp hop bitterness. Steady Rollin Session IPA; ABV 4.8%: Inspired by the Great Lakes region (our big backyard), our single hop Session IPA is brewed for days when you can only guess the time based on where the sun sits in the sky. Peach; ABV 5%: Jack’s Peach Cider is light with fresh peach aromas and refreshing fresh fruit flavors. This blend of freshly pressed Adams County applesand peaches is quickly becoming a favorite. Dry Green Original; ABV 5.5%: Dry, crisp and refreshing; like biting into the perfect apple. Flanders Red Sour; ABV 5.8%: Red to brown in color, this sour beer is moderate in lactic acidity, with a touch of acetic acid, and notes of both green and candied apples. Faceplant; ABV 6.8%: A strong, malty backbone balances the mountain of whole cone hops we pack into our American Style IPA. Moderate grapefruit bitterness and herbal aromas take your pallet for a ride. Therapy Demands IPA; ABV 6.2%: The first sip takes you to a complimentary continental breakfast featuring perfectly ripe Honeydew and Cantaloupe. It’s so fresh and invigorating, you take another sip (gulp), the soft body envelopes your mouth, you close your eyes, demands are met. Blue Dream IPA; ABV 6.43%: A Metamodern IPA conceived of hand selected hops from down under. Malt barley and red wheat combine to create a clean malt backbone with foolproof flavor and mouthfeel to support the main act of Enigma, Vic Secret, Ella, Topaz and Galaxy hops. The hops strum juicy and sweet aromas with headline notes of passion fruit, raspberries, pineapple and citrus. This straight-up strain is Oskar Blues IPA (6.43% ABV). To each their own til we go home. Hoppy Place IPA; ABV 6.5%: Our interpretation of a West Coast style IPA! Very hop forward and deliciously unbalanced. Pine and citrus notes ride the wave of Centennial, Amarillo and Citra hops culminating in a delightfully dry finish. A pint of this will surely take your to your Hoppy Place! Westward Ho! Funky Face Mango Sour; ABV 4.1%: The Funky Face series is a collection of specialty beers that explore the tart and sour side of craft brewing. Second up in the series is our dry hopped mango sour ale. This beautifully simple, and refreshingly tart American Sour Blonde Ale is infused with sweet mango and dry hopped with tropical Galaxy hops. There is no better elixir for beating the summer swelter! Farmhouse Dry; ABV 8.5%: Pale gold and effervescent with pronounced fruit aroma hinting of peach and melon. Don’t let the heady nose fool you – with no residual sugars, the flavor is crisp, tart, and exceptionally dry. Uniquely refreshing with a crisp finish that pairs well with a variety of foods including pork, duck, wild game, and aged cheeses. Sold in 750mL bottles. Suns Out Hops Out; ABV 4.7%: Crisp easy drinking Session IPA. Brewed with Citra and Mosaic hops. Grapefruit IPA; ABV 5%: We like to make the distinction that this a fruit beer- not a fruit-flavored beer- whose wort is mixed with pounds of grapefruit puree to allow the sugar to ferment out, leaving the tropical aromas of the fruit. We choose to use American Chinook, Cascade and Citra hops for their distinct citrus and floral attributes, and American ale yeast that brings a layered fullness to the beer, making this dry-hopped IPA notable for its bold flavor, tart characteristics, and approachable hoppiness. Hard Apple Cider; ABV 7.2%: Schlafly Hard Apple Cider is just the right balance of dry, crisp apple flavor with a bit of sweetness in the finish. This is a great beverage akin to a champagne and not as sweet as some of the ciders on the market today. We use a blend of three different cultivars to get the right balance of tartness and sweetness in this cider. Enjoy! Dirtwolf DIPA; ABV 8.7%: Wildly assertive, intentionally untamed and dangerously satisfying, DirtWolf Double IPA is the culmination of Victory’s double IPA series experiment with whole flower American-grown hops. With two-row German malts and a well-balanced combination of whole flower Citra, Chinook, Simcoe and Mosaic hops, this 8.7% abv brew blends the powerful citrus aroma and fruity flavors, with the piney, earthy and mildly floral characteristics found in these intriguing hop varieties. Crafty Cranberry Cider; ABV 5.5%: Crafty Cranberry Cider is a more sophisticated beverage – crafted in the spirit of a traditional Champagne-style hard cider. Crafty Cranberry Cider leaves out excessive amounts of candy-like sweeteners that some other ciders add. Crafty Cranberry is made with local Pennsylvania pressed apples, yeast and real cranberry juice. The result is a fresh, clean, cranberry-hard cider. Dry Hopped Cider; ABV 5.5%: Wyndridge Farm Crafty Hopped Cider is a perfect blend of crisp apples and quality hops, creating a unique beverage experience. We believe in keeping it simple, by using locally pressed apples, yeast and hops. No excessive amounts of candy-like sweeteners added. The result is a fresh, clean, semisweet, hopped cider. Cushman & Wakefield’s Project & Development Services (PDS) team is hosting a Chili Cook-Off benefiting National Brain Tumor Society and ABC2 (Accelerate Brain Cancer Cure). At this annual event, over 20 local construction vendors will come together and compete in a chili contest. We invite you to join us at this family-friendly event and vote in the ‘People’s Choice’ category. This event is open to the public with a suggested donation of $10 for chili tastings. All proceeds will be donated to the local brain tumor research organization, Race for Hope DC. On Saturday October 21 from 1-6 PM, help us finish Oktoberfest with a bang! Featuring live music, outdoor games, face painting, and of course delicious Bier and food, everything you need for a great time! Brew Free! Or Die IPA (Blood Orange); 7% ABV: BREW FREE! OR DIE IPA is brewed with some serious west coast attitude. This aromatic golden IPA starts with three different hops to the nose, quickly balanced by a solid malt backbone supporting the firm bitterness. Our top selling beer at the pub, this IPA starts big and finishes clean leaving you wanting more. Pumpkin; 5% ABV: First produced in the fall of 2010 our Ace Pumpkin Cider is a seasonal favorite. Its unique orange color and full rich flavor will leave you craving more. This seasonal Cider is released after Labor Day and available throughout fall. Ace Pumpkin is perfect for the pumpkin lover that just can’t get enough. Ideal for Halloween and Thanksgiving this cider pairs well with or beef. Our pumpkin cider also makes a great snakebite when mixed with a heavy lager. Hop Sneeze Gen 2 IPA; 7% ABV: Intense citrus and tropical fruit aromatics blend well with the light malty sweetness. Cheers to Hunter! Sista From Anotha Mista; 7.3% ABV: Using Australian Ella, half-sister of better known Galaxy, this IPA creates a huge bouquet of floral and tropical notes, with a dry and crisp finish, leaving more to be desired. 320 Citra Wheat; 5.5% ABV: Light, crisp, and refreshing with floral notes of grapefruit this traditional German wheat recipe with an American spin consisting of loads of Citra hops! Blood Orange Gose; 4.2% ABV: Our Blood Orange Gose is a tart, refreshing wheat ale that is kettle-soured with lactobacillus and brewed with sea salt and coriander. However, unlike traditional versions of the style, ours features liberal additions of blood oranges during fermentation. This imparts tangy citrus notes that complement the champagne-like flavors, creating a complex and sessionable ale perfect for any occasion. The Real Peel IPA; 6.3% ABV: Inspired by a summer’s day and crafted to crush year-round, our IPA twists real tangerine peel and citrusy hops into this juicy experience. It’s the real deal! Basil Lemongrass Cider; 6.9% ABV: Balancing fresh herbs and subtle honey, nothing says delicious better than this signature infused mead. Grab a can and enjoy the finer things. Oktoberfest; 5.5% ABV: DC Brau’s Oktoberfest has a classic light amber to copper hue that is topped with intense German malt aromas of toasty bread, light caramel and faint biscuit. It’s supported by a traditionally light Noble hop aroma that complements the rich malty notes. The mouthfeel is smooth and creamy with a medium body that gives it a pleasing richness. The hops perfectly compliment the dominant malt character to form a very refreshing Oktoberfestbier that can be enjoyed all thru the fall months. On the Wings of Armageddon; 9.2% ABV: OTWOA is a single hop beer utilizing Falconers Flight. Brewed with just enough Pale malt, Cara-60, CaraPils and Malted wheat to carry the intense hop character onto the pallet. At first glance, it has an orange hue in the glass with a viscous, rocky head that refuses to dissipate. Upon first sniff there are dominant aromas of citrus, white grapes and grapefruit with light bread and biscuit notes. After the first sip we taste a mellow bitterness that only grows as more is consumed. Moderately carbonated, deceptively smooth, refreshingly dry and extremely heady for a beer at 9.2% ABV. OTWOA exhibits all the necessary traits to be revered as a world class Imperial IPA. Wittekerke; 5% ABV: Charms you with its own character, smooth taste and a unique delicious aroma. A very pleasant drink, light in alcohol with a crisp and refreshing flavor. WITTEKERKE is always served cold, but in taking your time to enjoy it, you will find more flowery and spring flavors towards the end of your glass. Although the hoppy bitterness is an underlying taste, it is never dominant. Perfect white head. Tart and Juicy Sour IPA; 4.7% ABV: We’ve combined the clean, puckering tartness of kettle souring with an abundance of juicy, citrus-driven hops to create a beer that’s the best of both worlds – Tart n’ Juicy Sour® IPA. Dunkel; 5.3% ABV: Carefully selected dark malts with delicate roasting aromas give ERDINGER Dunkel its full-bodied flavor and strong character. This elegant wheat beer has a lustrous, deep dark-brown appearance in the glass. The first sip reveals a harmonious symphony of carefully selected wheat and barley malts with exquisite Hallertau aroma hops. The taste buds detect hints of caramel, nuts and fresh bread. An unmistakable top-fermenting accent is provided by ERDINGER’s traditional yeast. Slip Angle New England IPA; 7% ABV: This hazy American IPA is generously hopped to produce a juicy hop aroma. Hops include Warrior, Simcoe, Citra, Mosaic and Hull Melon. Steady Rollin Session IPA; 4.8% ABV: Inspired by the Great Lakes region (our big backyard), our single hop Session IPA is brewed for days when you can only guess the time based on where the sun sits in the sky. Hofbrau Munchen Dunkel; 5.5% ABV: Dark beer existed in Bavaria long before light beer. This was the first type of beer to be brewed at Hofbräuhaus when it was founded. Today, when beer-lovers all over the world talk about dark beer, they usually mean a Munich style beer. Today, Hofbräu Dunkel – the archetypal Bavarian beer – is still as popular as ever. With its alcoholic content of around 5.5% volume and its spicy taste, it’s a refreshing beer that suits all kinds of occasion. A beer in the traditional Munich style! Dry Green Original; 5.5% ABV: Dry, crisp and refreshing; like biting into the perfect apple. Afterburner IPA; 6% ABV: Don’t let the nose fool you… Notes of fresh mango, citrus and Stone Fruit dominate the palate before the mildly-hot (but not overwhelming) sneak attack from fresh Habanero peppers rolls in from behind. This curious, yet surprisingly smooth sipper will surely re-define chili beers. Helles Lager; 4.7% ABV: A medium-bodied, golden-in-color lager with a clean malt flavor start and a slightly sweet and spicy hop finish.This beer is clean and crisp for an easy and refreshing year-round drink. Kronenbourg 1664 (France); 5.5% ABV: Kronenbourg 1664 is France’s No.1 selling beer and the UK’s second-biggest selling premium lager. Kronenbourg 1664 is made with a unique blend of hops including aromatic hops from Alsace. Flanders Red Sour; 5.8% ABV: Red to brown in color, this sour beer is moderate in lactic acidity, with a touch of acetic acid, and notes of both green and candied apples. Alhambra Reserva; 6.4% ABV: Reserved for the most demanding palate. Alhambra Reserva 1925 is a high quality beer crafted to perfection. With its deep, exquisite taste and exclusive masterpiece in bottle design. Reserva 1925: Our vast brewing experience, to enchant the beer connoisseur. Mahou; ABV 4.80%: Bright gold colour with a crystalline aspect. It has a characteristically elegant and fain malt aroma. Its base notes have reminiscence of fruity flavors and very light balsamic hints. It is tasty, has the perfect acid-alcohol balance and well-integrated bitter finish. Alt Nouveau; 4.7% ABV: The “alt” in Altbier has dual meaning, referring both to the top-fermenting yeast used to make the beer and to the fact that this ale is literally the old style of beer in a country now famous for its lager beers. Made famous in the city of Dusseldorf, Altbier has a varied profile, depending on the brewer, from malty to hoppy. Double Sparkle DIPA; 8.4% ABV: 2+ lbs per barrel of Galaxy and Mosaic hops, and a heavy tropical aroma of pineapple and mango, with a hint of peach. Smooth flavor. Clean finish with a bit of bitter at the end. Great overall summer beer. Oktoberfest Marzen Style Lager; 5.10% ABV: As the colors come out each fall it is not just the turning of the leaves we celebrate but the limited release of our annual Oktoberfest. With a malty, yet clean build a full caramel tones, our Oktoberfest Marzen lager perfectly balances a toasty, bready sweetness with a touch of hops. Hoppy Place IPA; 6.5% ABV: Hoppy Place IPA! Our interpretation of a West Coast style IPA! Very hop forward and deliciously unbalanced. Pine and citrus notes ride the wave of Centennial, Amarillo and Citra hops culminating in a delightfully dry finish. A pint of this will surely take your to your Hoppy Place! Westward Ho! Black Ox; 5.8% ABV: A robust rye porter with hints of coffee and chocolate nicely balanced with a subtle hop influence. A substantial, malty ale…complex and flavorful with a medium body and a slightly roasty finish. The rich dark color is deceptively refreshing..the spice in the rye clears the palate. A sip will explain why we say this is a delightful combination of sweet and spicy! Oxtober Bier; 6% ABV: Oxtober Bier is a Märzen-style lager in the true German tradition. Vienna malts and nice toastiness drive the flavor. Very clean, smooth, and malt forward with rounded malt sweetness accompanied by nice biscuit and toast accents. A pleasant hop bitterness adds balance. Blue Dream IPA; 6.43% ABV: A Metamodern IPA conceived of hand selected hops from down under. Malt barley and red wheat combine to create a clean malt backbone with foolproof flavor and mouthfeel to support the main act of Enigma, Vic Secret, Ella, Topaz and Galaxy hops. The hops strum juicy and sweet aromas with headline notes of passion fruit, raspberries, pineapple and citrus. This straight-up strain is Oskar Blues IPA (6.43% ABV). To each their own til we go home. Hacker-Pschorr; 5.5% ABV: The silky shine and intense golden yellow hue of our Weisse, topped off with a compact and creamy head of froth, is a truly magnificent sight. The yeast evolves gently to deliver a magnificently refreshing fruity and citrus note accompanied by a fine sparkling hint of acidity. The light sweetness of bananas and honey melt on the tongue and mingle with subtle and slightly more bitter notes of nutmeg. Oktoberfest, 6.0% ABV: Ever since 1818 we have brewed our bottom-fermented Oktoberfest Bier during Oktoberfest – Germany’s favourite Oktoberfest beer and a true institution in Munich. The glass is full of October sunshine, strong and golden. The perfect balance of a light taste of hops and a strong note of malt. A feast of a beer, which always goes down well. This beer is only brewed for the Oktoberfest. That’s where it belongs, along with all the fun of the fair like the Ferris wheel and roasted almonds. Farmhouse Dry; 8.5% ABV: Pale gold and effervescent with pronounced fruit aroma hinting of peach and melon. Don’t let the heady nose fool you – with no residual sugars, the flavor is crisp, tart, and exceptionally dry. Uniquely refreshing with a crisp finish that pairs well with a variety of foods including pork, duck, wild game, and aged cheeses. Sold in 750mL bottles. Grapefruit IPA; 5% ABV: We like to make the distinction that this a fruit beer- not a fruit-flavored beer- whose wort is mixed with pounds of grapefruit puree to allow the sugar to ferment out, leaving the tropical aromas of the fruit. We choose to use American Chinook, Cascade and Citra hops for their distinct citrus and floral attributes, and American ale yeast that brings a layered fullness to the beer, making this dry-hopped IPA notable for its bold flavor, tart characteristics, and approachable hoppiness. Oktoberfest; 5.5% ABV: Our Oktoberfest is a traditional Bavarian Märzen with a toasty malt aroma and slight caramel taste. This rich, amber lager is balanced by the use of German noble hops, while the lager yeast ferments cold and slow, creating a smooth, crisp beer. White Lager; 5.5% ABV: Think of this as a fresher, hoppier Hefeweizen: smooth, cloudy, and golden-colored. This style dates back to the Middle Ages, where the beer was matured in deep vaults and emerged rich in vitamins. Gute Nacht; 6% ABV: Malty and full-bodied, this classic Marzen-style lager is the perfect beer to kick of the fall season. Suns Out Hops Out; 4.7% ABV: Crisp easy drinking Session IPA. Brewed with Citra and Mosaic hops. Brugse Zot; 6% ABV: Brugse Zot is a goldenblond beer with a rich froth and a fruity flavoring. The beer is brewed with four different kinds of malt and two aromatic varieties of hop which give the beer its unique taste. Thanks to the fermentation in the bottle, the beer has a longer natural life. Cuvee Van De Keizer Rood; 10% ABV: Cuvee Van De Keizer Rood was brewed to celebrate the 10th anniversary of the “Cuvee Van De Keizer Blauw”. The Cuvee Van De Keizer Rood is brewed every year starting on February 24th. The Rood is a blond beer, very similar to what used to be the Gouden Carolus Easter Beer. This is a warm rich beer that is brewed, like the traditional Cuvee Van De Keizer, once a year. During the brewing process several types of malt and three types of spices are used. This golden blond ale has an alcohol concentration of 10% creating a full and balanced taste that will appeal to the demanding beer taster. Alpha Ale; 5.1% ABV: A super hoppy American Pale Ale with a ton of Citra, Columbus and Cascade hops. Deep Amber in color with an extremely well rounded hop and malt character. The finish is slightly dry and refreshing to the last drop. This beer will not disappoint! Area 151; 7% ABV: A rotating Belgian Style Ale fermented with fruit. This beer rotates between tree fruits, each one imparting its own flavor to the same base style beer. We filter 151 prior to packaging to add a crispness and to help bring the fruit forward. Crafty Cranberry Cider; 5.5% ABV: Crafty Cranberry Cider is a more sophisticated beverage – crafted in the spirit of a traditional Champagne-style hard cider. Crafty Cranberry Cider leaves out excessive amounts of candy-like sweeteners that some other ciders add. Crafty Cranberry is made with local Pennsylvania pressed apples, yeast and real cranberry juice. The result is a fresh, clean, cranberry-hard cider. 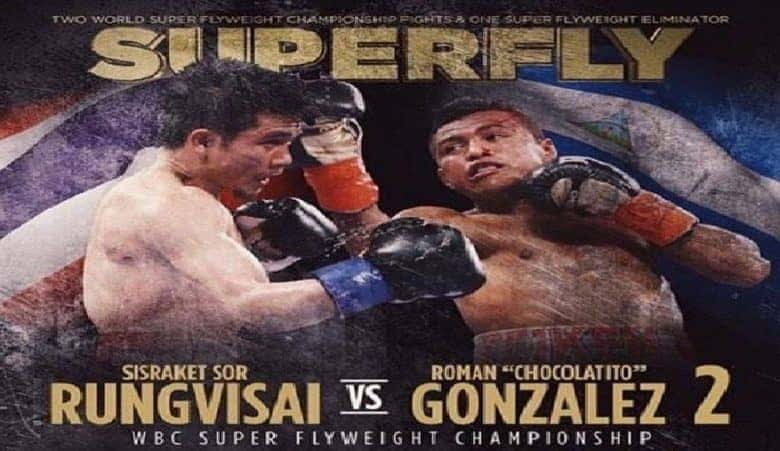 The Tysons Biergarten is going to be showing the Super Flyweight Championship Rungvisai vs. Gonzalez on September 9th! Don’t miss this intense rematch for the belt! This event is FREE admission! We have two large projector screens as well as 17 HDTVs. 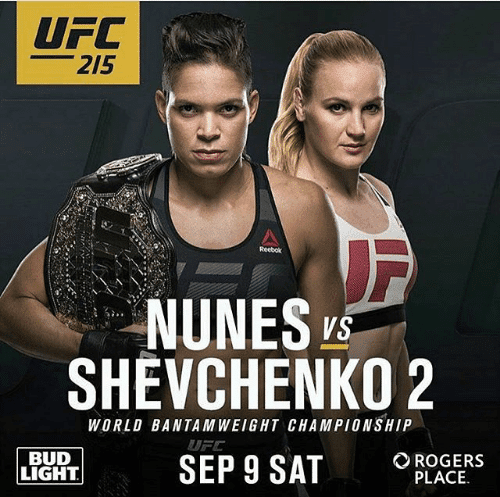 The Tysons Biergarten is going to be showing the Champ Nunes vs. Shevchenko for Women’s World Bantamweight Championship on September 9th! Don’t miss this intense rematch for the belt! 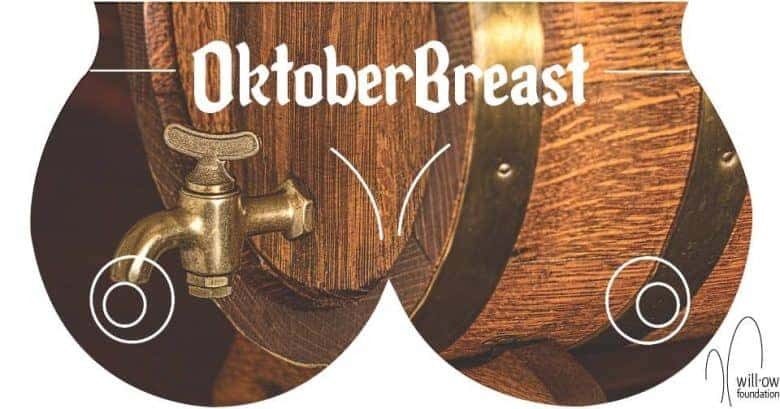 You are cordially invited to celebrate the first annual OktoberBreast! Please join us for an afternoon of food, beer, music, and dancing, in support of a great cause. Your $19 ticket gets you a beverage and food item of your choice, entertainment, snacks and other surprise treats. dJ g-miLLs will keep the party going all afternoon. Traditional German Oktoberfest attire encouraged! A portion of the proceeds support the Willow Foundation, a 501 (c)(3) organization that provides funding for advanced stage cancer research. The Tysons Biergarten is going to be showing the Golovkin vs. Alvarez fight on September 16th! 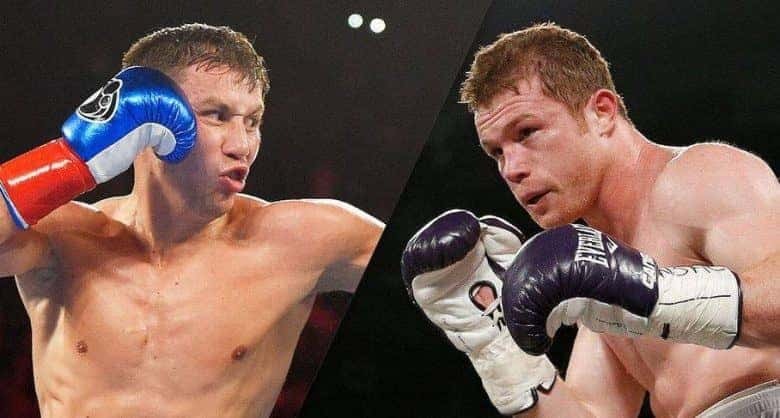 The unified middleweight titleholder Gennady Golovkin will defend his belts against former champion Canelo Alvarez, this is a fight you don’t want to miss! This event is FREE admission! We have 1 outdoor and 2 indoor large projector screens as well as 17 HDTVs.